Earlier this week I did the 120 shot ghosting routine. Many years ago Squash Canada would use this as a fitness test for it's top athletes. Even watching my own movement here I noticed how I made technical errors in routine skills near the end of the drill as fatigue set it. Let me explain how the ghosting works and then at the bottom I'll post the video of my attempt. As you can see in the image below I drew this out. In diagram 1 there are 2 separate movements patterns, both going front to back. You hit 20 shots per side with no break between. The middle diagram is the diagonals so after you complete these this is 80 shots. Finally you ghost the back 2 corners for 20 shots and the 2 front corners for a total of 120 shots, equivalent to a 240 shot rally! I believe back in the day they wanted this test completed in under 6 minutes, possibly under 5, but I'm not certain. I did it 6 minutes and 27 seconds, but I'm definitely not training to play professionally so I'd say it's pretty good for a coach. 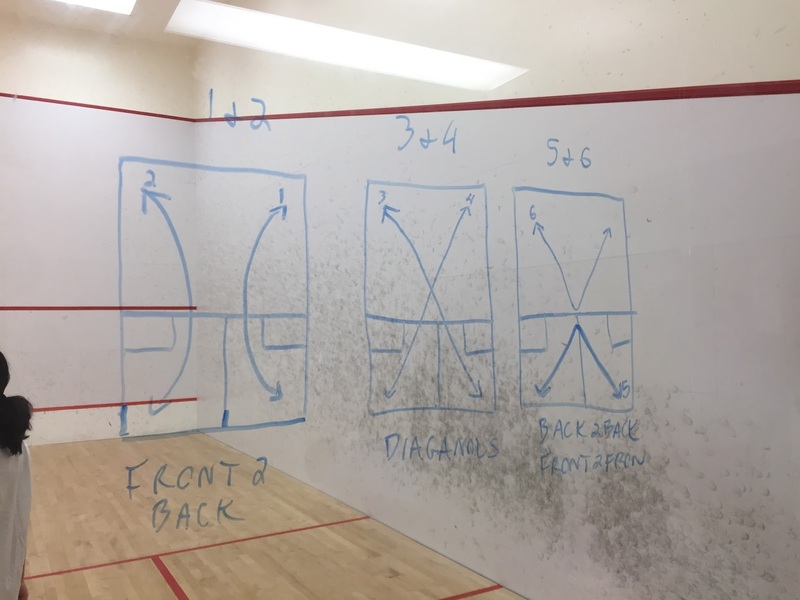 Wonderful tips for all squash players all over the world! Drops are easier to clear and it's easier to stay further from the ball so yes I could have went faster if I did all drops from the front, but I wanted to practice my movement off of other shots to and from the front corners. If you will look through review of edubirdie.com you will find even more recent useful information.